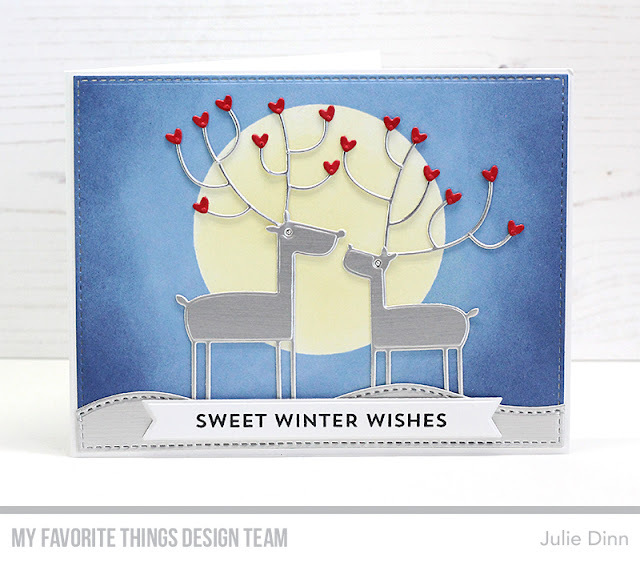 I have a fun card to share with you today, it features the fabulous Deer Love Die-namics. 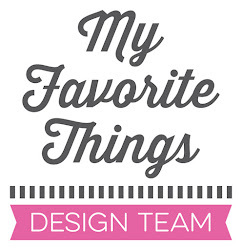 I just love this die set! I die-cut the deer and snowdrifts in Brushed Silver card stock. The hearts were die-cut in Red Hot card stock. I masked off the moon and created the sky with Blue Yonder and After Midnight Premium Dye Ink. The moon was then inked with Lemon Chiffon Premium Dye Ink. The sentiment is from the Snow Globe Sentiment stamp set, I stamped it on an Essential Fishtail Sentiment Strip. Adorable and I love the hearts on their antlers.